Attention deficit/hyperactivity disorder (ADHD) and autism spectrum disorders (ASD) are frequent, chronic and highly heritable neurodevelopmental disorders. Despite their societal importance, progress in understanding disease biology has been slow and no curative treatment options are available. 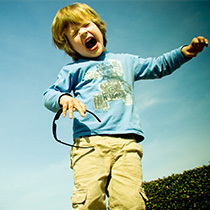 The pan-European training network MiND (mastering skills in the training Network for attention deficit hyperactivity and autism spectrum Disorders) aims to educate a new generation of researchers in the field of neurodevelopmental disorders, through innovation-oriented research combined with highly interdisciplinary and intersectoral international training.